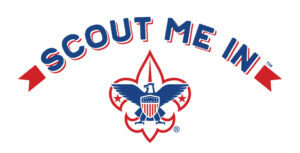 The Mount Baker Council is proud to introduce Scout Me In, the new Boy Scouts of America recruitment campaign that invites all kids and families in America to be part of the life-changing experience that is Scouting. The tagline, Scout Me In, celebrates the BSA’s historic decision to serve families and welcome girls and boys into Scouting so they can experience the character-building fun and adventure the program brings to life in communities across the country. It’s more than just a tagline. Scout Me In reinforces that the mission and core values in the Scout Oath and Law are important and relevant for both young men and women. Q: What does this mean for kids? A: For kids, Scout Me In is a call to action. It’s an invitation to take part in the fun and adventure that will help kids to build the confidence to find and forge a path to their own best self – today and in the future. Q: What does this mean for families? A: Scout Me In is a call for togetherness. Today’s families are busier than ever. They are looking for options that welcome the whole family – mom, dad, sisters, and brothers – to the adventure of Scouting. Q: What does this mean for the BSA? A: Scout Me In is reason for celebration. By welcoming boys and girls into Cub Scouts – and into our older youth Scouting program, Scouts BSA which is scheduled for February 2019 – even more young people will have access to the character development and values-based leadership that will prepare them for a lifetime of success.